Slapstick Official Website | Bristol's Silent Comedy Festival. It’s back! 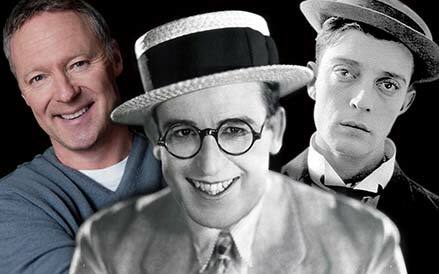 Our annual Silent Comedy Gala returns for a lucky thirteenth addition – a unique celebration of the best onscreen classic silent comedy, live music and guest appearances by living legends of British comedy. As usual, the national comedy treasures of our own time come together to pay tribute to the legendary comedians of the past. We’ll be showing Harold Lloyd’s 1925 classic, The Freshman, accompanied by the famous score composed by Carl Davis, with the 25-piece Bristol Ensemble conducted by Guenter A Buchwald. 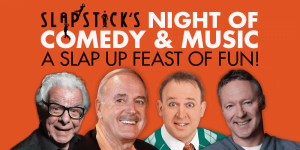 John Cleese is to appear as part of Slapstick’s Slap Up Feast of Fun – an amazing new comedic and musical fundraiser for the Slapstick Festival taking place 29th September 19:30 Colston Hall Bristol. To be hosted by the fantastic gagmeister Tim Vine this will be an unforgettable night. Also appearing with John Cleese, top impressionist Rory Bremner, the Python, Rutle and Bonzo Neil Innes, King-of-the-one-liners and ‘Sorry I Haven’t A Clue’ star Barry Cryer will team up with the inimitable Ronnie Golden to perform and delight audiences with music and, we hope, a selection of new parrot jokes. Guarantee a ticket, BOOK NOW.